Sandor J. Genome Editing and the Legal Editing of the New Bio-Medical Landscape . In: 23rd Conference of the World Association of Medical Law, Baku. Medicine and Law : Journal of the World Association of Medical Law; 2017. p. 328-9. (36). Sandor J. Basic pillars of legal thinking on the human body in the Hungarian medical law: dignity, self-determination and the principle of non-commodification. In: Feuillet-Liger B, Schamps G, Orfali K, editors. 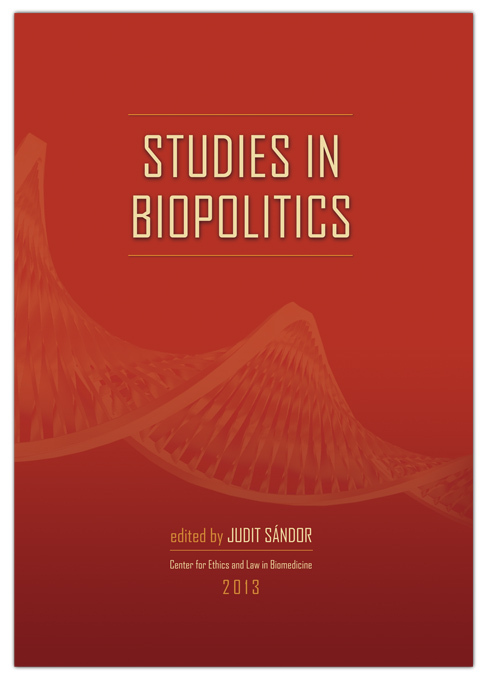 Protecting the human body: legal and bioethical perspectives from around the world . Brussels: Bruylant; 2016. p. 169-85. Varju M, Sandor J. Creating European Markets through Regulation: The Case of the Regulation on Advanced Therapy Medicinal Products. 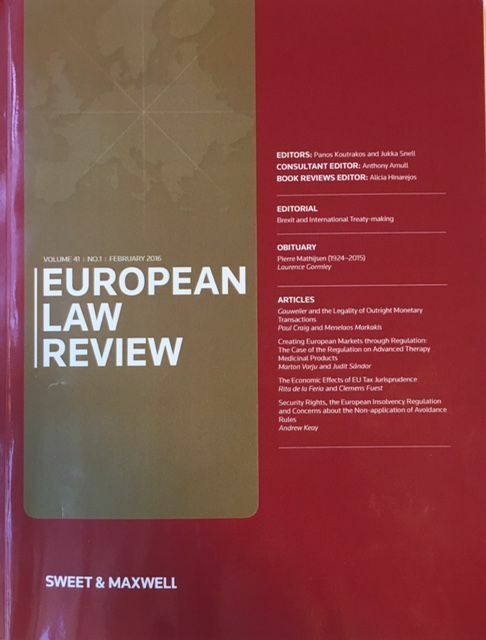 European Law Review. 2016;1(1):25-44. Sandor J. Concilier les familles traditionnelles avec la fécondation in vitro: le cadre jurididique hongrois de la filiation à la lumière des interventions biomédicales. In: Feuillet-Liger B, Brauner M-CC, editors. Les incidens de la biomédecine sur la paranté. Brussels: Bruylant; 2014. p. 145-59. Sandor J. Reconciling Traditional Families In Vitro Assistance: The Hungarain Legal Framework on Kinship in the Light of Biomedical Intervention. Brussels: Bruylant; 2014. p. 149-62. Sandor J. Right to Health and the human Organ: A Right as a Consequence? . PRAVNI ZAPISI. 2014;V.(2):384-413. Sandor J. Demographic Influences on the Regulation of the Female Body in Hungary. In: Feuillet-Liger B, Orfali K, Callus T, editors. The Female Body: A Journey Through Law, Culture and Medicine. Brussels: Bruylant; 2013. p. 115-30. (Droit, Bioéthique et Société). Sandor J. L' adolescent et le droit médical en Hongrie. In: Feuillet-Liger B, Ida R, editors. Adolescent et acte médical, regards croisés. Bruxelles: Bruylant; 2011. p. 195-205. (Droit, Bioéthique et Société). Sandor J. Anonymat dans les procédures de procréation médicalement assistée. Égalité des sexes et vision pronatale dans la réglementation hongroise. In: Feuillet-Liger B, editor. Procréation médicalement assistée et anonymat . Bruxelles: Bruylant; 2008. p. 203-15 . (Droit, Bioéthique et Société). Sandor J. Body Immortal. In: Gunning J, editor. Ethics , Law and Society. Aldershot: Ashgate; 2007. p. 123-35. Society and Genetic Information: Codes and Laws in the Genetic Era. Sandor J, editor. Budapest: Central European University Press; 2003.